California’s diminishing water resources are forcing cities and water districts throughout the state to raise water rates significantly. The best and most effective way for California to manage its water resources is to ensure that currently available water is used wisely. 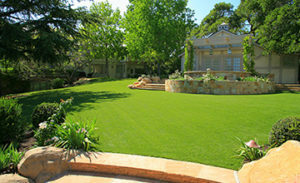 Local statistics state that more than 30% of California water is used by landscaping and up to 50% of this is wasted. Water Auditing & Budgeting – identify ways you can conserve water usage within your landscape and plan for future water usage. Retrofitting using Smart Water Application Technologies (SWAT) – utilize cutting edge technology for maximum landscape watering efficiency. This includes weather based controllers, low flow sprinkler nozzles and inline drip emitters. Sustainable Landscape Design – maximize your water conservation effort by choosing native plants and utilizing soil amendments to increase water absorption. Irrigation System Design, Maintenance & Repairs – provide expertise and save water and ensure compliance of City of Santa Barbara water conservation requirements.